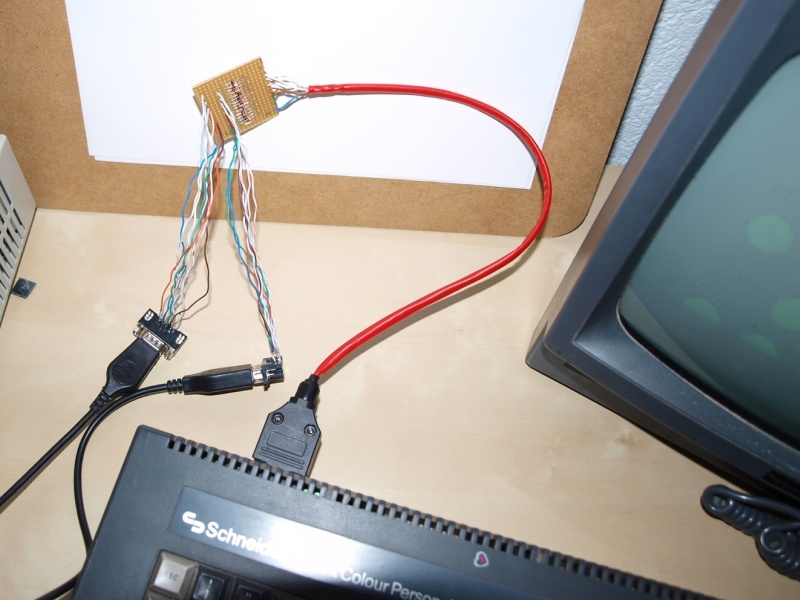 Some time ago I've learned that you could connect two joysticks to the one-joystick-port CPC464 (you know, the old 8-bit computer I've already mentioned in few posts). 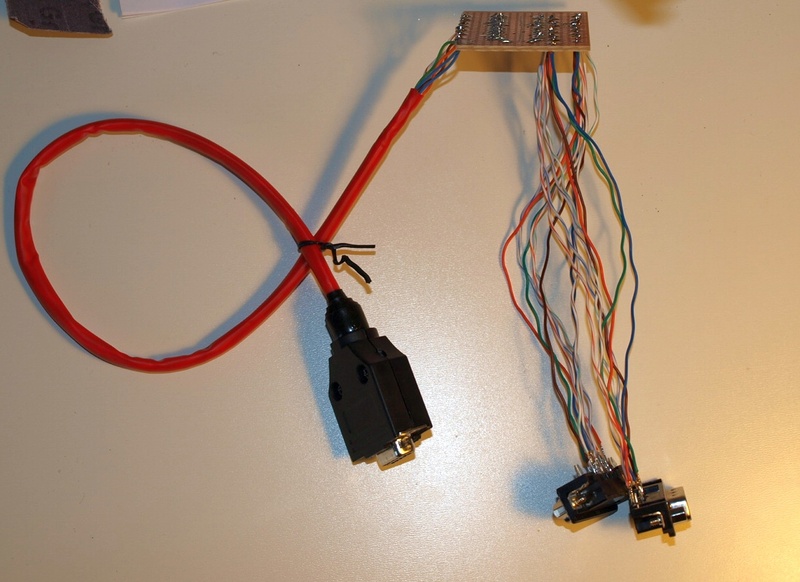 So, I decided to practice my electronic skill, dig into the topic and make myself whatever piece of hardware is required to actually make two-joystick connection possible. Today I've finished the "1-to-2 joystick port splitter" and decided to document both the project, as well as the problems, the solutions, and the failures. Two joysticks to one port? 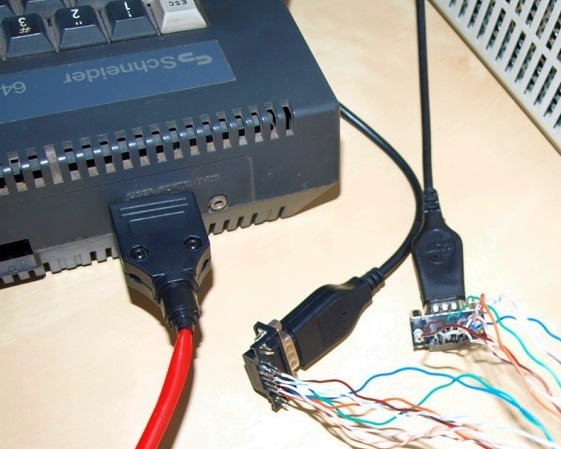 As I've learned on CPCWiki, JY-2 - one of the official Amstrad CPC joystick - had a port in the back to which you could connect a second CPC joystick (sidenote: CPC joysticks are a little different than e.g. 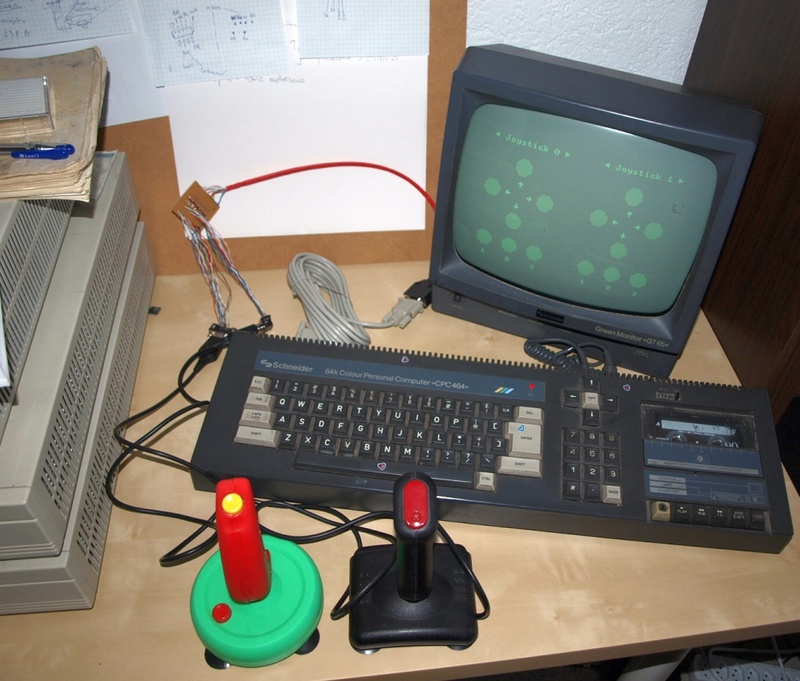 Amiga joysticks; while you can use an Amiga joystick with CPC, a CPC joystick might not work with Amiga) and you could use both joysticks as separate devices (joy(0) and joy(1) if we were speaking BASIC). The way this works is actually pretty simple, but let's start with "how a CPC joystick works" just to make sure we're on the same page. A standard 8-bit computer joystick connector is a 9-pin D-SUB and it's the same in this case. One of the pins is called "common" (or just "com") and is set to LOW. The other 7 pins (one is "unused") represent directions ↑ ↓ ← → as well as FIRE 1/2/3, and are connected to "inputs" (set to HIGH by default) of the joystick controller inside the CPC (actually they are connected to the keyboard controller, which, in fact, is the "sound card" chip - but that's a story for a different time). 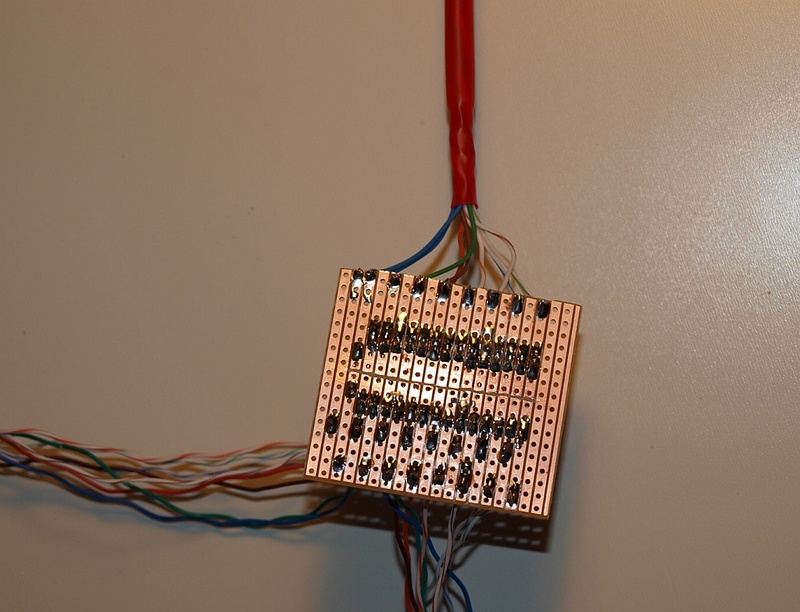 Now, if you press a button or move the stick in some direction, an "input pin" gets connected to the "common" track, which causes the "input" to go LOW in the controller and so the "internal state" of the joystick in the controller changes to represent the new state. So, how do you connect two joysticks to a port with 9-pins when one joystick uses 1+7 pins? Well, you make both joysticks use the same 7 "input pins", but different "common" pins (in case of connector at the back of the CPC464 "common 1" is on pin 8 and "common 2" is on pin 9), and you keep only one "common" pin "active" at a time (by "active" I mean "LOW", and by "deactivated" I mean "HIGH") - you basically scan one joystick (by activating it's common pin) and then scan the other (by deactivating the first common pin, and activating the other). So, the JY-2 just "forwarded" the 7 pins to the back port, and the "common 2" pin to the back port's "common" pin. My splitter works exactly the same way, though I added some diodes to get rid of the key ghosting effect. Before I get to the longer description let me show you the finished "CPC464 1-to-2 Joystick Port Splitter". Actually almost finished, since I still have to put it in a nice casing (I'll update the post later). - First of all, quite a lot of time was consumed by just getting/waiting for parts (2 * online order + 1 * just going to the local shop). - Second of all, I wanted to learn as much as possible during this project (so I've done some things that one could just skip). - And finally, I actually made a mistake due to which I had to start from scratch at one point. Next, I've plugged in a standard D-SUB 9pin extender cable (or so I thought) and started playing with connecting random pins and trying to make a map of what is what... and I found out that the pins are actually different than suggested on CPCWiki (actually, I was wrong; keep reading ;>). 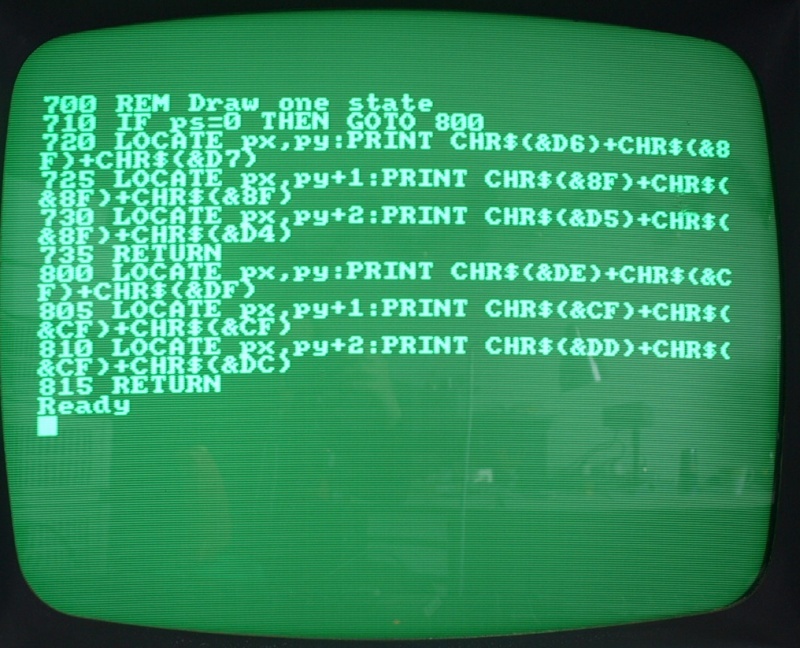 Also, I've got my hands on the schematics of the CPC464 mainboard (surprisingly easy to find on teh internets), and I've started studying them, finding out about how the "scan" works, and that the joystick is connected to the keyboard controller (if you move the joystick, some characters appear on the screen). I won't go into details here, it's a story for another time. 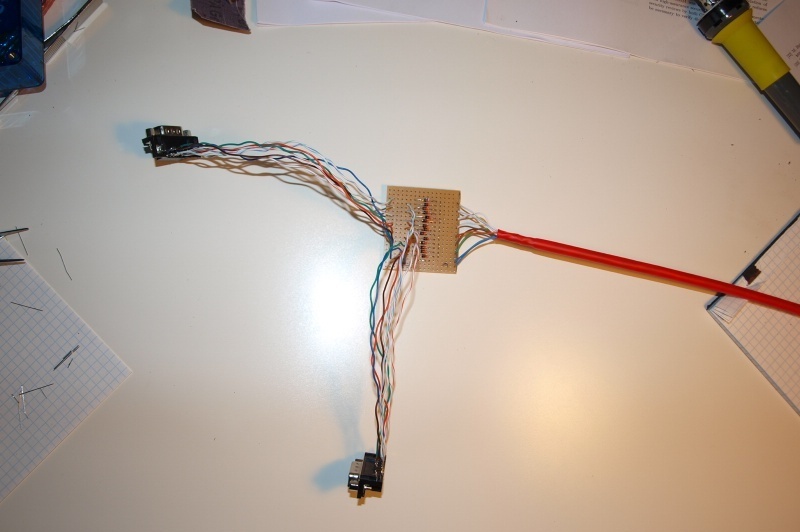 In the meanwhile I started designing the whole "splitter" - in my first design I would use an Arduino controller, but getting deeper I found it totally unnecessarily, so my second design was just cables connecting pins. 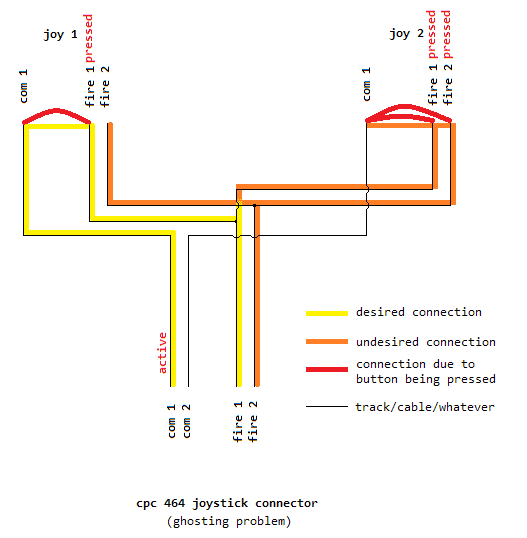 As you can see, since in joystick 1 "common 1" and "fire 1" are connected, and in joystick 2 "common 2", "fire 1" and "fire 2" are connected, that means that indirectly "fire 2" and "common 1" are also connected. Of course, this is not desired. I've started by disassembling one of the joysticks (the CPC-compatible) and found that the pins are entirely different than what I had on my "pin map". Why? Do you remember the "D-SUB 9pin extender cable" I mentioned? It turned out not to be an extender cable after all but some kind of a Null modem cable I used for connecting my PCs some time ago. Ugh. So I was back at the start point. 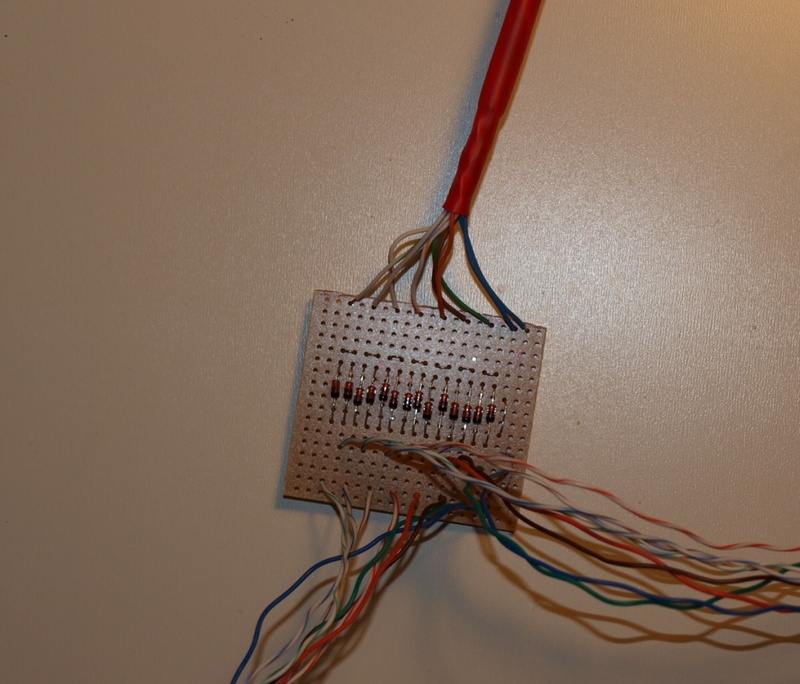 Again, connect a real (and double-checked) extender cable (I actually had to wait a coupled of days for it to arrive, as well as some additional D-SUB connectors) and map the pins again (guess what - they turned out to be exactly the same as stated on CPCWiki... surprise surprise). Some time after that I finally got to assembly the final design on a slightly modified universal board (I had to "break" some tracks) and it even worked at the second attempt (obviously I broke one track too many and found out about it in another of the debugging session). And that's the whole story. I must admit I'm pretty happy with this project since it's my first "extension" for an 8-bit computer and I was able to make it from scratch as well as foresee and solve the ghosting problem, and learn A LOT about both electronics and CPC464 in the process. 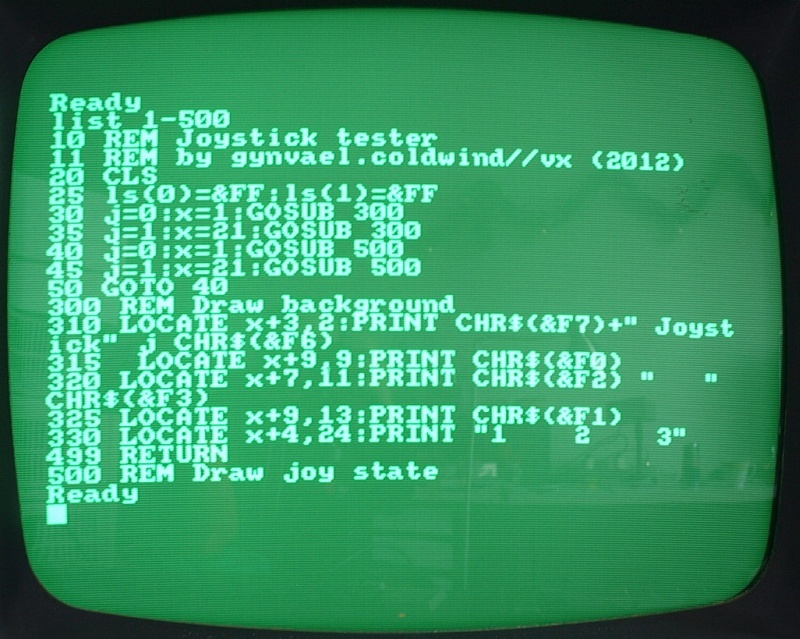 A quick note on the joystick testing software (though "software" is actually a too-big word) you can on the videos/photo above. 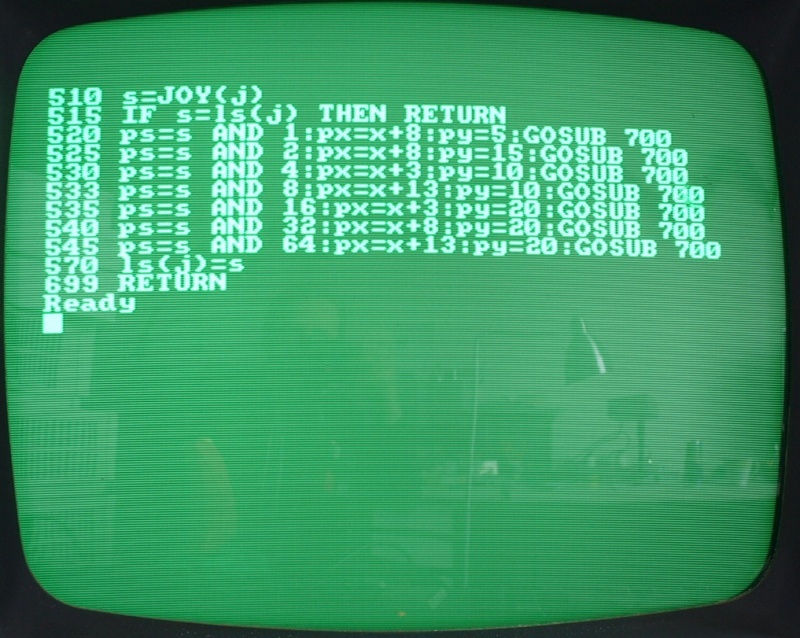 The program was written in the standard CPC Locomotive BASIC in ~30 minutes (grrr, it's "LOCATE" not "POSITION"... old ATARI BASIC habits die hard), is kinda laggy (it was even "laggier" in the previous version) and unfortunately I have currently no way to transfer the listing to the PC. I've to say that soldering is very neat, keep up the good work! I've seen a ghost on second screenshot! He is ghosting with two joysticks in one and camera in other hand. znam się tylko troszkę na elektronice, użycie tutaj diod Schottky'ego np. 1n4007 bez rezystora (i tak zwiększamy rezystancję przewodu - czyli jak się nie jara na zwarciu, to i diodę moim zdaniem możesz podłączyć bez strachu). 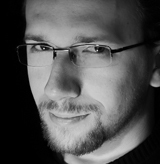 myślę że będzie git z tymi szybkimi diodami, bez dodatkowych rezystorów.